A lot of cat litter is dusty, and when your cat uses the litter box, it may track that dust through your house. You’ll see little grey paw prints across the carpet and down the hall, leading away from the litter box. 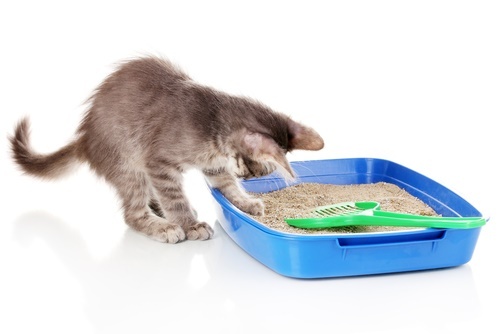 The area around the litter box can be covered in dust pretty quickly, if you have the wrong kind of litter. Not all cat litter has to lead to tracking, though. You can find litter that is relatively dust free and that leaves you with little mess to clean up. We want to show you a few of these that can make a huge difference in how messy your house is. Now, let’s look at some of the best non-tracking cat litters on the market today. These are simply our top picks, and you may find others that work well for you too. This is pretty much a dust free and tracking free cat litter, but it can be quite expensive. It is often very pleasant for cats, and it is gentle enough that its clumps won’t hurt their soft paws. It’s also excellent at killing odors before they become a problem and providing lasting odor control for the entire week. The clumping action for Worlds’ Best Cat Litter creates a mostly dust free environment, and you should have little to no tracking to be concerned about. 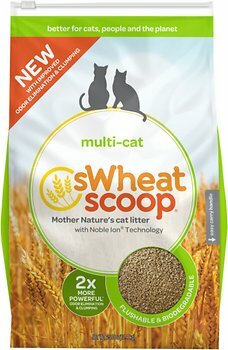 This is often considered one of the best natural cat litter products on the market today. 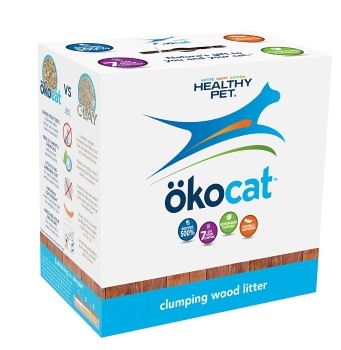 It is superb at clumping, and that makes it easy to get rid of litter as your cat uses it up. It can be a bit pricey, but it may still be worth it for you. That’s especially true since it is a potent odor eliminator. You should not have worry about any odors for a week, even with multiple cats in the house. Your cat may carry it out of the litter box, though, as when it clumps, it can be sticky and attach onto your cat’s fur. So, there may still be a mess to deal with, but it should not be a lot. 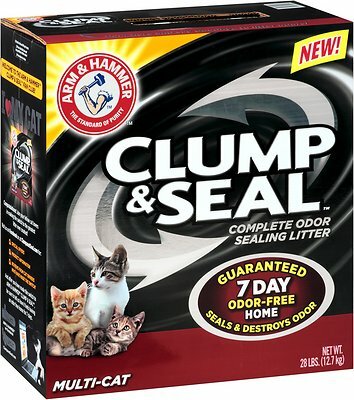 This is a fast-clumping litter, which leaves little mess to deal with, but it isn’t a great odor eliminator. It does okay at getting rid of odors, but you are still going to notice them, especially if you have more than one cat in the house. The good news is that this litter is completely biodegradable. Your cat is safe to play with this and not be offended by any strong odors or chemicals. Of course, you don’t want your cat to play with their litter, but you know it is going to happen. This is also an ideal litter for sensitive cats- those that cannot tolerate strong scents. That’s why the litter protection isn’t the greatest, but that’s the price you pay for a gentle-smelling litter that you can toss wherever you want to when it is used up. This litter is one of the top picks for many cat experts, including Feline Living. It’s pretty expensive, as are all the ones on our list here, but that’s the cost of getting a non-tracking litter. It can be worth it to spend a bit more to have a litter that won’t leave a mess through your house. This one clumps together quite well, like all its competition on this list, and it does a decent job of killing odors as they occur. Like most clumping litters, it can kill odors for up to about a week. How many cats you have in the house and how messy they are can determine how long a pan of litter will last you. 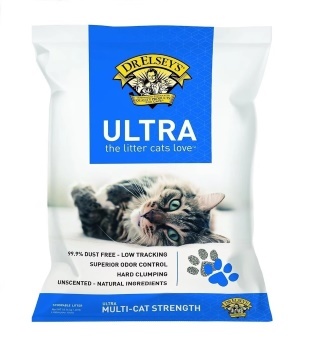 This is a natural litter that contains no allergens or harmful chemicals. 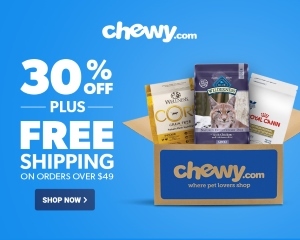 It’s also biodegradable and safe for the environment and your cat, so it is perfect for cats with sensitivities, allergies and other conditions that make many cat litter products unsuitable. The Arm & Hammer products are all great at killing odors on the spot. However, they do this with a potent scent that your cat may not take to. 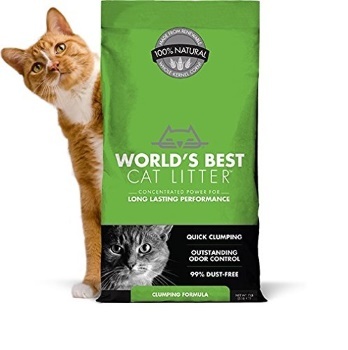 If your cat does not mind the smell, though, then this a a very economical cat litter to use, and it clumps well to keep your cat from tracking dust all throughout your home. The odor elimination features of this litter kill bacteria right away so that foul odors are no longer a problem, but the fragrance it has can be overpowering, and you need to know your cat’s preferences before you buy this one. Pay attention to more than just the non-tracking aspect- There are other factors that will determine how suitable a certain kind of kitty litter is. If the litter has too strong of a scent or is uncomfortable for your cat, then they may not use it very often, according to Wayofcats.com. Be sure you factor in your cat’s preferences when you buy litter of any kind. Clumping litter leaves little tracking- Usually the best kind of litter to avoid tracking with is clumping litter. This kind of litter forms large clumps whenever the cat uses it, which makes it easy to clean up and reduces the presence of dust. Only certain litter products will do this, so pay attention to what you are getting. Not suitable for kittens– Generally, clumping litter is not going to be a good buy for small kittens. If they are only a few weeks old, then they may try to eat the clumping litter, but they are far less likely to play with and attempt to eat non-clumping litter. You may just have to put up with the dust for a short while until your cat is old enough to handle a different kind of litter. Even if you don’t go with one of our picks, you should look for litter that is heavier, which makes it less likely to track, according to CatLitterExpert.com. Anything that clumps or becomes a bit heavy when used is far less likely to track than light, loose litter. If you are looking for a way to cut down on the cleanup and prevent tracking in your home, then these picks are the way to go.